The project was for an Offshore Wind Farm located in the English Channel in approximately 20m of water. 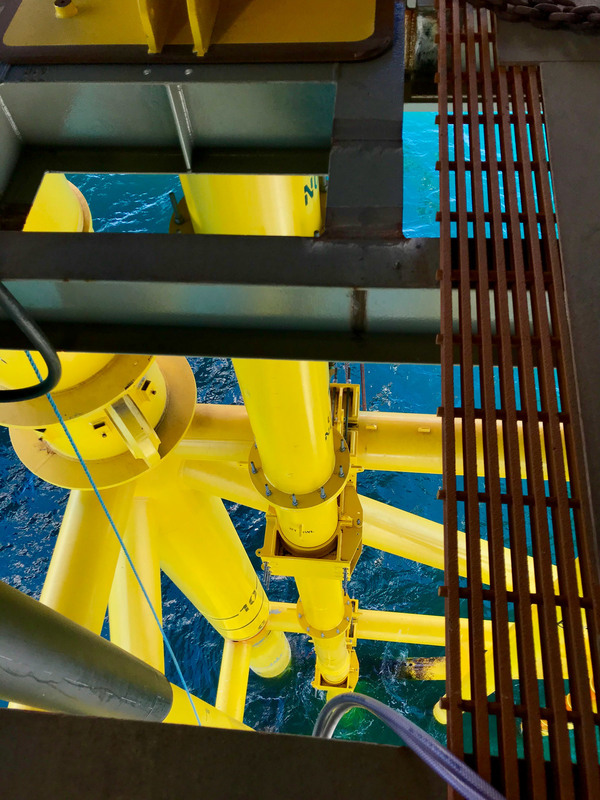 A single 400MW Offshore Substation Platform (OSP) for the wind farm comprises a 4 leg steel jacket supporting the topsides, housing all of the electrical equipment along with refuge, workshops and control/protection rooms. The topside comprises an equipment deck (at El .+28.5m LAT) with an integral cable deck approximately below. All electrical equipment is housed on the main deck with the cable deck supporting an oil dump tank and cable pulling winch. The OSP jacket supports an array of twelve incoming j-tubes on the south and west faces and two export j-tubes on the northern face. 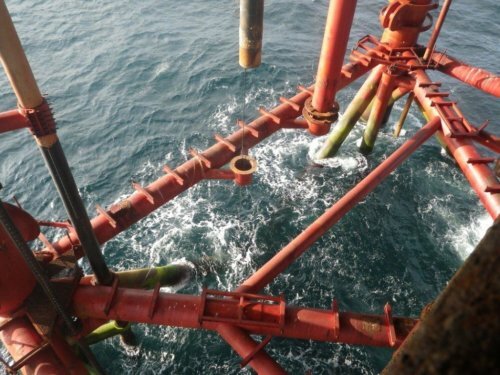 The 2 export cables were damaged during transport and/or installation and Optimus were requested to develop a procedure for installation of an additional j-tube to allow a new export cable to be installed with minimal disruption to the platform operations. 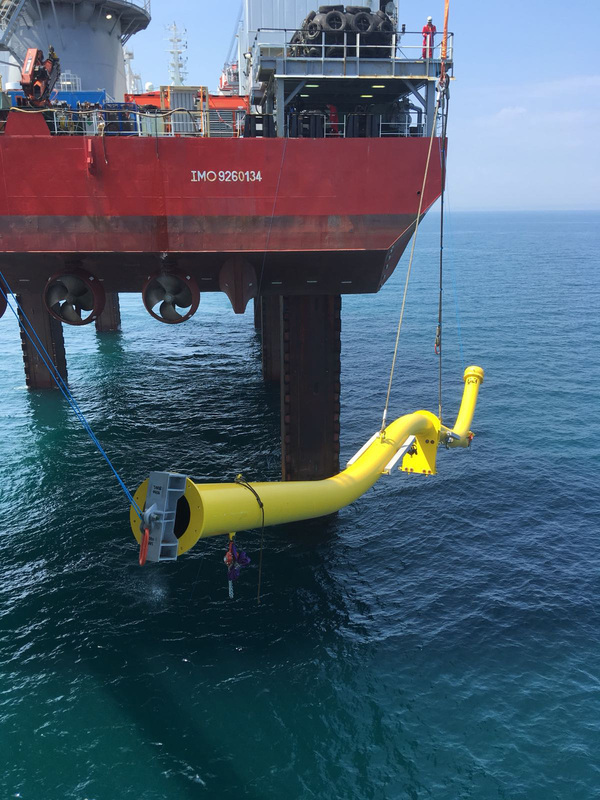 The delivery timescale was driven by client commitments to diving support vessel and so Optimus enlisted 3 local fabricators to complete fabrication of the various elements, j-tube, clamps and temporary installation steelwork in parallel. This required regular detailed expediting visits by the Optimus team to ensure control and delivery to the fixed deadline. Each j-tube section required cross-hauling under deck using dedicated lifting points supported on the cable deck. 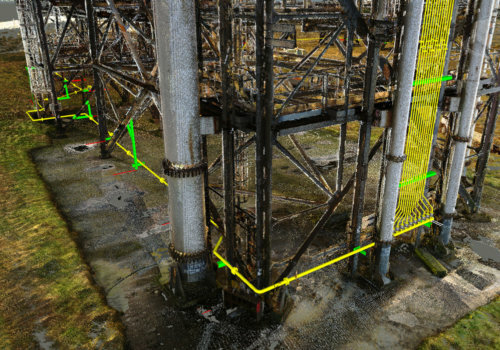 The 23m long swan neck section of the j-tube was threaded through the jacket bracing and rotated into position requiring divers and topsides rope access teams to work seamlessly together, Optimus managed multiple interfaces with the installation contractors to ensure that method statements were well understood, fit for purpose and fully integrated with responsibility handovers. The installation was timely and safe, testament to the design and working practices employed throughout.